Tconsult offers several products, software and hardware to optimize and automate your business processes with cost reduce as result. 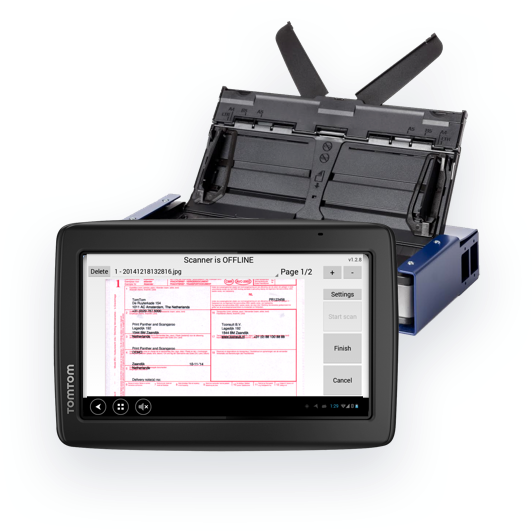 The Scangaroo application can control and drive document scanners in the truck on boardcomputers, tablets and smartphones! Freight documents, CMR, letter of contents and other important documents, can be scanned and send real time at the moment of loading or unloading. All information is real time available for the transporter, and also for the initiator. Scangaroo works plug-and-play and is suitable for every user. 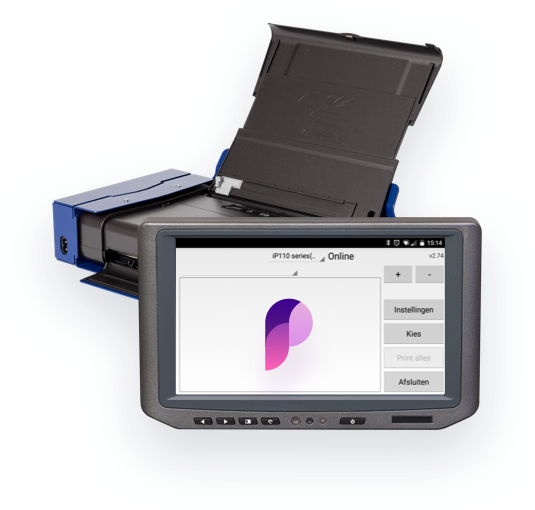 The Print Panther application can control and drive document printers in the truck on board computers, tablets and smartphones! Freight documents, CMR, letter of contents and other important documents, can be printed real time with a compact printer in the truck. Print Panther is plug-and-play and is suitable for every user. Print Panther is built to easily and quickly switch between different operations. 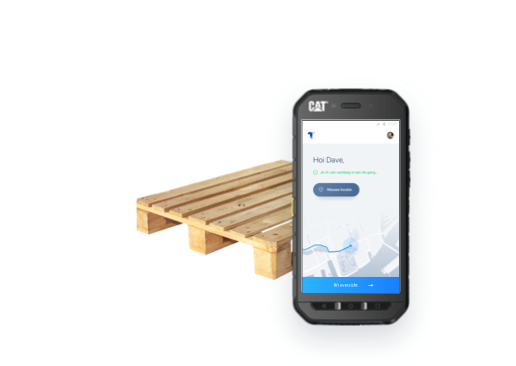 TellApe creates real time load carrier overview. 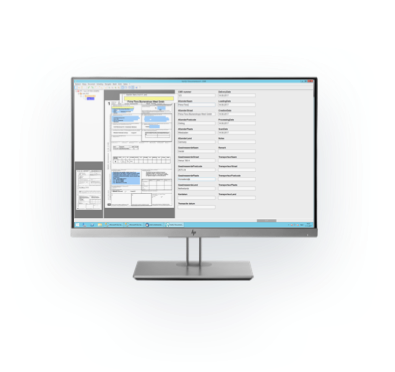 Manage locations and numbers load carriers on an online portal and make costs directly transparent. Your drivers enter data directly in the app which transactions has taken place with the loading and unloading the load carriers. The app is uncluttered, plain and fast. The app has been tested by and for drivers! Always know and everywhere what your stock, outgoing and incoming load carrier is. The real time solution for load carriers management, where and whenever you want! RTI means Real Time Information. Also: digital processing and managing document flows. The data information in documents are processed automatically and read digital instead of manually entered. This is done using advanced Optical Character Recognition (OCR) software. Even handwritten information can be converted into digital data that can be processed immediately. Hand written documents converting in digital information in just a second. With RTI Solutions is a digital administration closer than you think! Packaging administration and packaging registration isn’t so easy. You have to deal often with several parties and their own norms of packaging management. Do you know who has access to your packaging? Do you receive a packaging recipe and has every order a CMR document that is signed and returned to the administration? Tconsult has years of experience with packaging and packaging flows. We like to help with your packaging management. An independent consultant that give insight in your packaging flows. An objectively view at your current packaging administration and packaging management. We give you custom based advice that's immediately for your own company situation. Our products offer different logistics solutions. Scangaroo is the advanced mobile scan solution. Send the invoice faster to the customer by scan all important transport documents. Print Panther in the advanced mobile print solutions. Directly the last changed transport documents printed and ready for delivery. 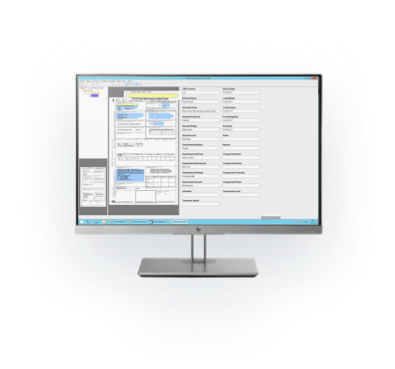 TellApe is the newest product that helps to administrate and registrate your packaging. Ask for a solution and try them free for one month! For more information about our solutions, contact me. Send me an e-mail or call me. 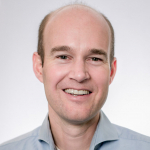 We have a LinkedIn profile and like to connect with you. Do you send us an invite?